Adopted in all 50 states, NFPA 70®: National Electrical Code has saved untold lives with comprehensive requirements for electrical wiring and equipment. When the Code advances to incorporate new technologies, you can’t afford to fall behind! You need the 2011 NEC to safeguard people and property, and avoid violations. Thoroughly revised and expanded to reflect changes in the 2011 NEC, McGraw-Hill's National Electrical Code 2011 Handbook, 27th Edition provides authoritative guidance and analysis to help you accurately interpret 2011 NEC rules. The book alerts you to matters that will be areas of discussion with inspectors. Designed as an essential companion to the 2011 NEC book published by the National Fire Protection Association, this resource includes more than 1,000 diagrams and photos to supplement the material covered. Details on the background and rationale for specific Code rules facilitate an in-depth understanding of the meaning and application of those rules. This must-have on-the-job reference helps your work pass inspection the first time. Searchable e-book available free for download with purchase of book. 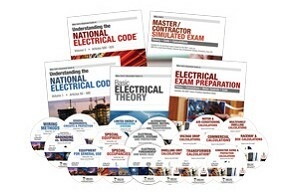 pplied Codeology: Navigating the National Electrical Code® 2011 offers the perfect solution for any electrical professional who has ever felt overwhelmed when trying to locate specific information within the vast catalog of standards and articles contained in the NEC®! 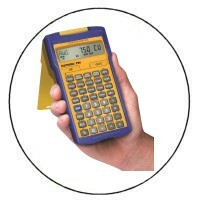 Electrical Wiring Commercial - 14E - Updated to the 2011 NEC! ELECTRICAL WIRING COMMERCIAL, 14E has been extensively revised for the 2011 National Electrical Code®. Full-color drawings and product photographs illustrate difficult concepts of the Code to increase the reader's understanding of the application in the wiring process. There is an emphasis on "going green" with electrical design and installation. To provide further practice, updated back of the book blueprints include plans that incorporate handicapped accessibility in commercial structures. For planning a commercial space there are panel board worksheets, load calculation forms, and panel board schedules provided for each of five tenant spaces plus the owner's space. ILLUSTRATED GUIDE TO THE NATIONAL ELECTRICAL CODE® 5E provides readers with a unique approach to mastering the Code, using highly-detailed, technically-accurate illustrations and visuals to break down and simplify the expanding volume and complexity of the 2011 National Electrical Code®. By translating the sometimes vague, complicated wording of the Code into straightforward illustrations and clear explanations, this book provides a resource that will facilitate comprehension and application of Code requirements for beginning and master electricians alike. Get on the fast track to becoming a licensed master electrician with this must-have book that combines realistic practice questions, in-depth answers, and conceptual background information to form the perfect exam review resource! Expanded and updated to reflect the 2011 edition of the National Electrical Code®, the book takes on the same clear, straightforward approach that made previous editions so popular. Both engaging and informative, you will be invited to examine specific topics on the master electrician licensing exam in detail — from general wiring methods and branch circuits to special conditions and communications systems. Although broad in scope, you will find that the content is concise and to-the-point, so you will always feel you're getting exactly what you need, and never lost or overwhelmed. Full-color detailed graphics to reinforce those difficult concepts and provide instant understanding. The book is designed to efficiently convey Code change information and save time for the Code user by highlighting only the most significant changes in the 2011 NEC®. With years of field experience using the Code, the author provides insightful interpretations of key concepts to familiarize NEC® users with the major changes contained in the 2011 NEC®.